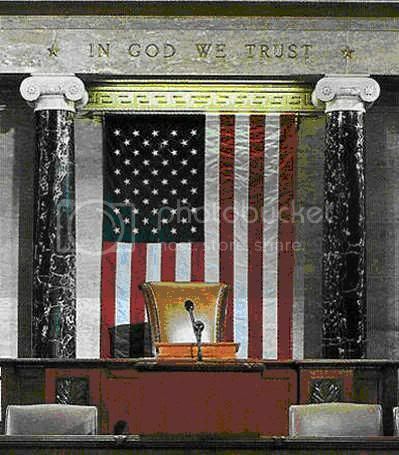 “In God We Trust” inscribed above the Speaker’s Chair in the House Chamber of the United States Capitol, Washington, D.C.
On Sunday, July 3, during our Morning Worship Service at 10:30 AM, we will have a special patriotic service to give thanks to God for His amazing blessings. Our service will feature the Pledge of Allegiance, special patriotic music by our choir, and a message from God’s Word on the need for Revival in America. We will close the service with the beautiful song – actually a prayer – “God Bless America.” Please join us, and invite someone to come with you.